Fremach, a worldwide supplier of innovative plastic products for the automotive sector, consumer electronics, and other products for the industrial market, experienced problems where products were not passing quality control and were rejected, resulting in product loss. To solve this problem, Fremach turned to Russell Finex to provide a high-quality sieve for plastic particles. Fremach wanted to optimize their flocking process to continue delivering high quality products. Flocking, an integral part of Fremach’s production line, involves applying small polyamide fibre particles, also known as flock, onto a plastic surface which results in a a soft-feel finish. However due to irregularities caused by oversize contamination of the flock fibres, which should have been removed as part of the flock reclaim process, they were experiencing too much product loss. 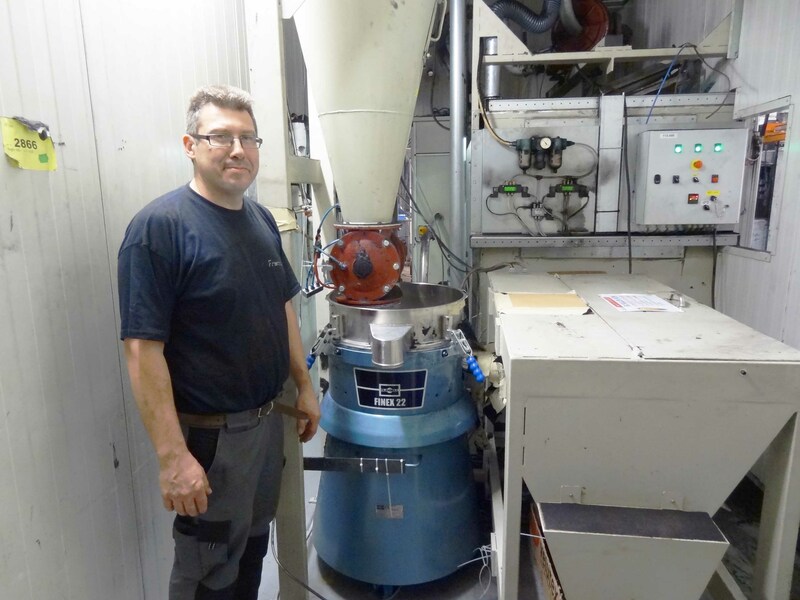 Russell Finex offered to test its Finex 22™ screening machine for plastic powders at the Izegem site in Belgium and, following positive results, Fremach purchased the unit. After installation, not only did they experience reduced production and lost product costs, but their standards for delivering high quality products are now reliably upheld, with far fewer finished products being rejected by quality control.